We know for some time that it is possible to call with WhatsApp. 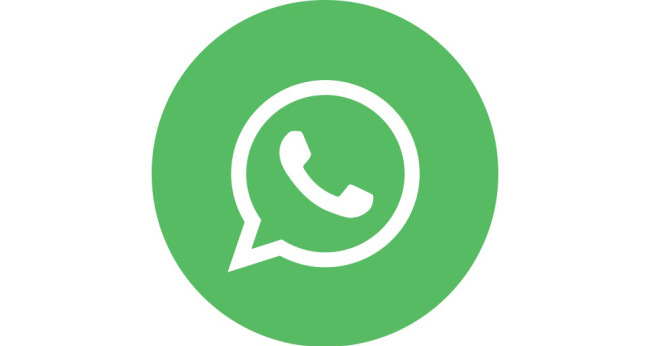 This possibility is already a time in the WhatsApp application but has not been activated. Thanks to images, the Dutch colleagues have constructed the render. Note : What do we know now sure about calling via WhatsApp? Actually nothing yet until WhatsApp makes it officially available. That it is going to come we do know, and unless major changes WhatsApp still going to put, we know how this will look around and it will work. 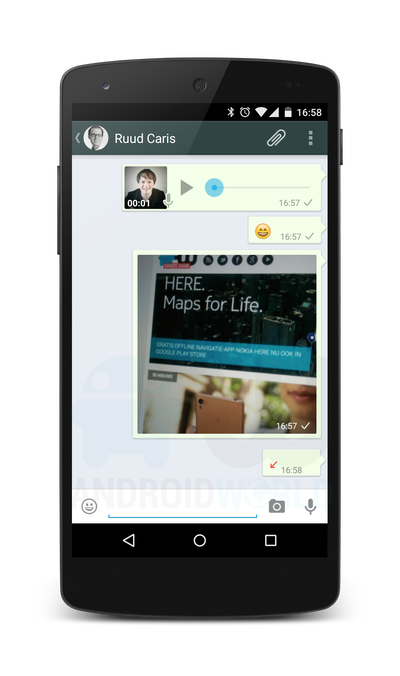 The calling via WhatsApp will be a separate function from the chat function. 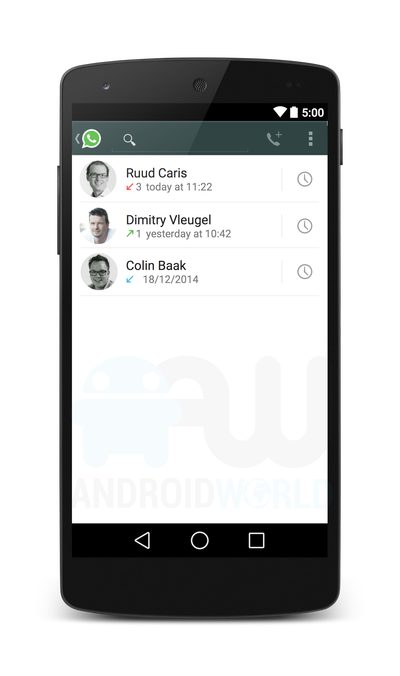 Here is where all active chats can be seen, a call overview screen. 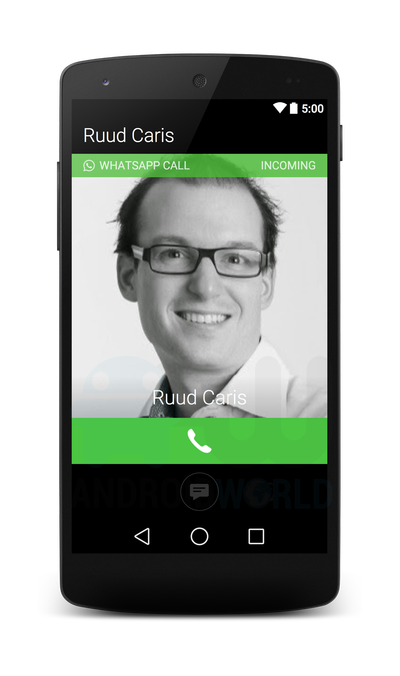 In it are the phone calls that you've seen made via WhatsApp. On the screen above, you can start a call, just as you normally start an IM conversation, namely by pressing the button at the top of the screen. 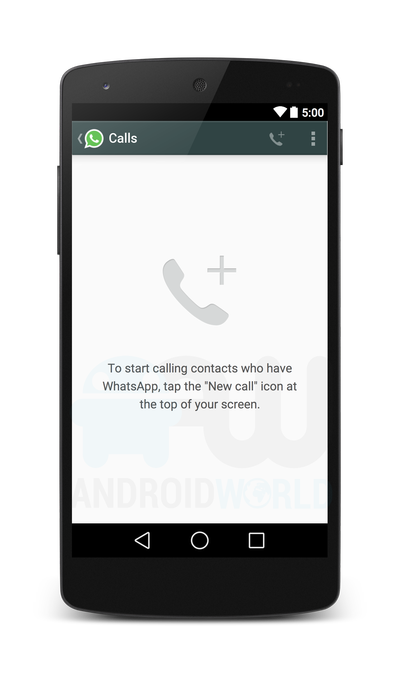 You will also have missed call notifications, Incoming and Outgoing calls just like a normal dialer does. And when you have incoming calling the Telephone icon bar will turn green and red when you are in a call and want to end it.